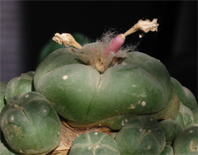 I’m finally getting on top of my jet lag and ready to blog ;-) One of my Lophophora williamsii v. jourdaniana plants flowered while I was in California. Unfortunately my girlfriend is neither a cactus buff nor a skilled close-up photographer (she doesn’t mind me saying so… not too much anyway ;-) so the only reasonably sharp photo of the flower is the one pictured below. Only time will tell if the attempted fertilization was a success. 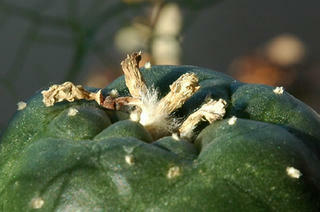 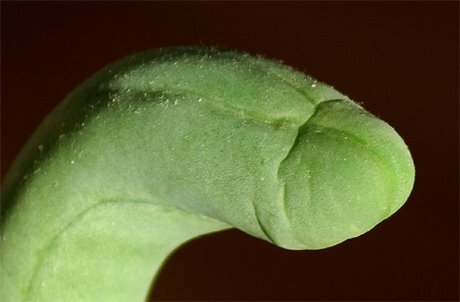 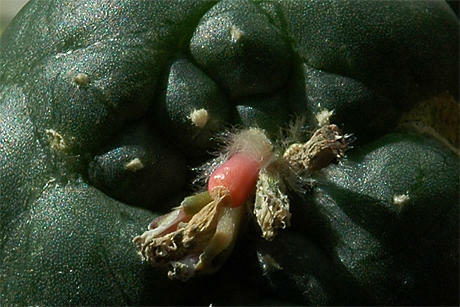 Pollen from the grafted Lophophora williamsii (SB 854; Starr Co, Tx) was used. 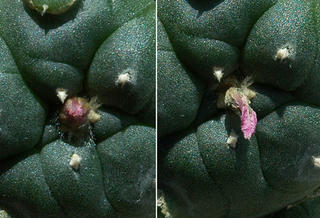 The before and after photos were taken at September 17 and October 7 accordingly. 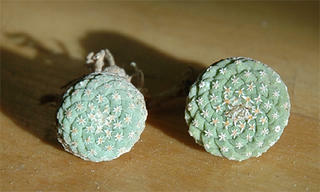 Check the next post on Lophophora williamsii v. jourdaniana for more detailed photos. 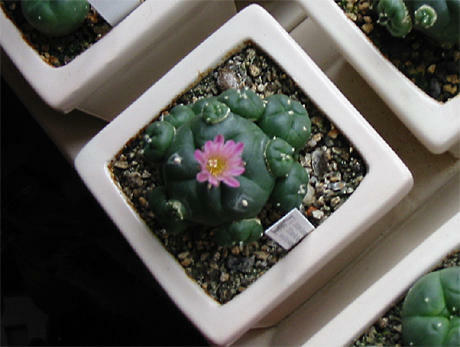 The Mesa Garden plant catalogue has always had the same effect on me as a candy store has on a kid – I want to buy it all. 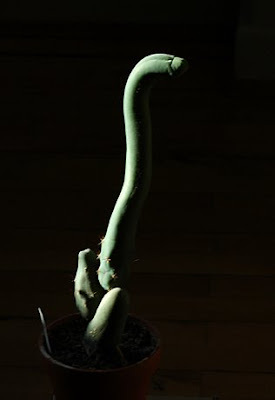 EU regulations make it rather difficult and expensive to import cacti from the US to Denmark, so visiting California I took the opportunity and ordered a batch of plants from Steven Brack to be delivered at my hotel. The two Strombocactus disciformis (SB174 Vizarron, Queretaro) pictured below and a selection of winter hardy Opuntias are now with me in Denmark. 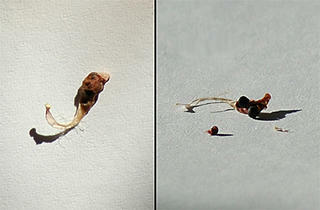 The Strombos are approximately 1.5 cm (~0.6’’) in diameter and seven years from seed.